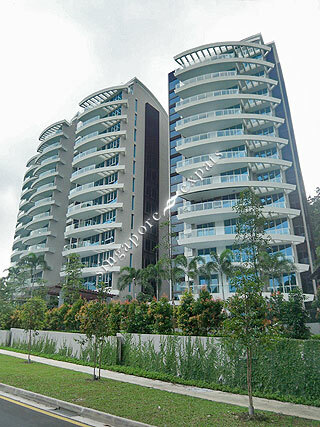 The Solitaire is a 3-tower freehold condominium located along Stevens Road, Robin Road and Balmoral Park. The Solitaire sits proudly perched on elevated ground amidst natural terrain with rich, quiet, and luxuriant surroundings in the most prestigious residential estate in Singapore. Exceptional accessibility is provided to residents with dual access from both Robin Road and Balmoral Park. Every apartment at The Solitaire has been designed to offer the ideal setting for your discerning lifestyle. The spacious balconies and full-height windows take luxury living to greater levels, with magnificent views of both the lush vicinity and the cityscape. Whether it's an evening for entertaining guests, or a quiet moment for yourself, The Solitaire caters to your needs, perfectly. The Solitaire is minutes away from the vibrant and dynamic Orchard Road, where one can exploit the perfect setting for a day out shopping or high tea. Satisfy your exacting demands with the myriad choices just around the corner at Orchard Road. There's an entire town full of tempting treats waiting at your feet, eager to spoil you. Wine and dine all you wish, shop your way to retail paradise, and do it all in impeccable style. The lush and tranquil haven at The Solitaire is also within close proximity to some of the most prestigious schools such as the Raffles Girls School, Singapore Chinese Girls’ School (SCGS), International Singapore School (ISS), Overseas Family School and Chatsworth International School. The Solitaire is at the crossroads of Singapore, presenting easy accessibility to major expressways such as the Pan Island Expressway (PIE) and Central Expressway (CTE). Public transport is also readily available along Stevens Road.